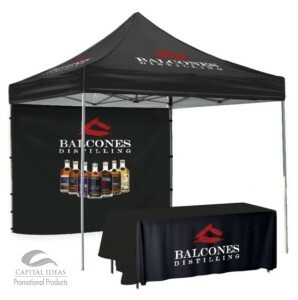 Transform any area, inside or outside, and boldly promote your brand with branded 10′ x10′ Pop Canopy Tents and table cloths. Our new 4 color process decoration technique allows you to reproduce razor sharp, full color graphics. The imprint on tents and table cloths can tell your brand’s story for you, enhancing your reach and increasing your targeted audience! 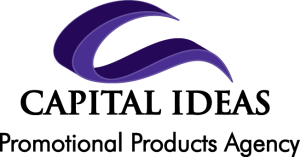 Contact Capital Ideas to learn about the many options and styles available.